Today, the health benefits offered by this ingredient are known all over the world. Green tea has become an integral part of a “healthy lifestyle” and is consumed by thousands of people on a regular basis. Green tea is quite rich in antioxidants. It also contains amino acids, enzymes, and phytochemicals like polyphenols. 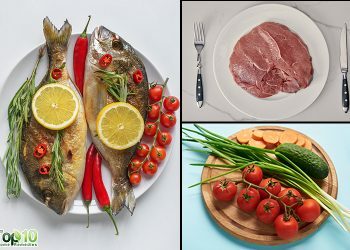 Moreover, it consists of B vitamins, folate, manganese, potassium, magnesium, and caffeine. There are a number of ways you can include this ingredient in your beauty routine. 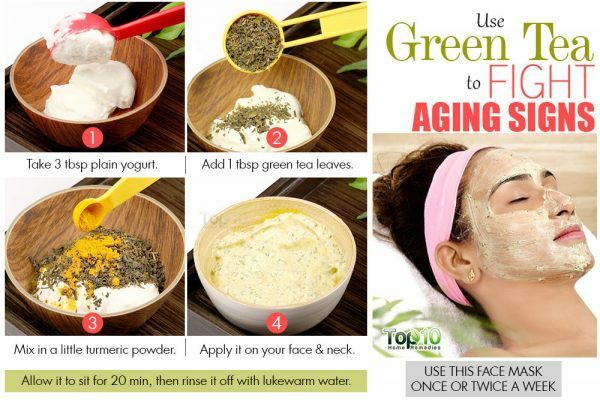 For example, you can use green tea in your beauty masks to enhance their effectiveness. You may also drink a few cups of this popular beverage daily. Here are the 10 beauty benefits of green tea for skin and hair. Green tea can help rejuvenate and brighten your skin and make it healthy. It helps to remove toxins from the skin, reduces inflammation, and heals blemishes and scars. It even improves the skin’s elasticity. Cut open 2 used green tea bags and scoop out their contents. 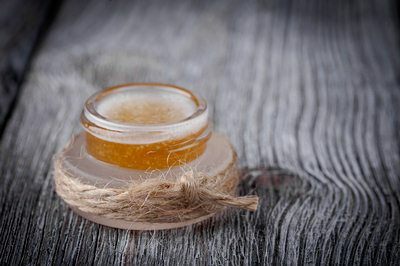 Add 1 to 2 teaspoons of raw honey. Mix in a little lemon juice. Apply it on your face and allow it to sit for 5 to 10 minutes. Green tea can also help you get rid of puffy eyes and dark circles. Put 2 used green tea bags in the refrigerator for 30 minutes. Place the cold tea bags on your (closed) eyelids. Sit back and relax for 15 minutes. Use this remedy twice daily until you are satisfied with the results. Green tea offers anti-aging and antioxidant benefits that can help delay the signs of skin aging, including sagging skin, sun damage, age spots, fine lines, and wrinkles. The polyphenols present in green tea help neutralize harmful free radicals, which can cause significant damage to the skin and accelerate the aging process. (5) In addition, it can even help in preventing skin cancer. 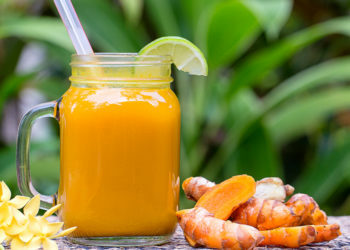 Mix 3 tablespoons of yogurt (plain), 1 tablespoon of ground green tea leaves, and some turmeric powder. Apply this mixture on your face and neck. Allow it to sit for 20 minutes before rinsing it off with lukewarm water. Use this face mask once or twice a week. Alternatively, you can simply mix 1 teaspoon of matcha green tea and a few drops of water to make a paste. For dry skin, mix 1 teaspoon of matcha green tea, ½ teaspoon of extra-virgin coconut oil, and ½ teaspoon of warm water. Apply this mixture on your face and let it sit until it dries completely. Rinse it off with warm water. Do this a few times a week. The catechins present in this ingredient are antibacterial agents. They help in fighting acne-causing bacteria. Catechins even help in regulating hormonal imbalances in the body, which are some of the most common causes of acne. Excess sebum production may also lead to acne breakouts. Green tea is believed to be effective in controlling excess sebum production. (6) It also boasts anti-inflammatory property that can help reduce redness and inflammation. Mix ¼ cup of freshly brewed green tea and ¼ cup of water. Allow it to sit for 10 to 15 minutes and then rinse it off with cool water. Do this twice daily until you get rid of acne. Green tea also works as a natural skin toner. It helps in drawing out the impurities, reducing large pores and giving your skin a healthy glow. Brew 2 cups of green tea and allow it to cool. Add a few drops of any essential oil of your choice. Transfer the solution to a clean spray bottle. Spray the solution on your face or apply it with a cotton ball twice daily. 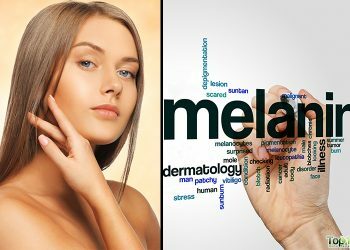 This solution can also be used by people suffering from skin conditions, such as psoriasis and rosacea. Green tea contains a high amount of antioxidants, which promote hair growth. 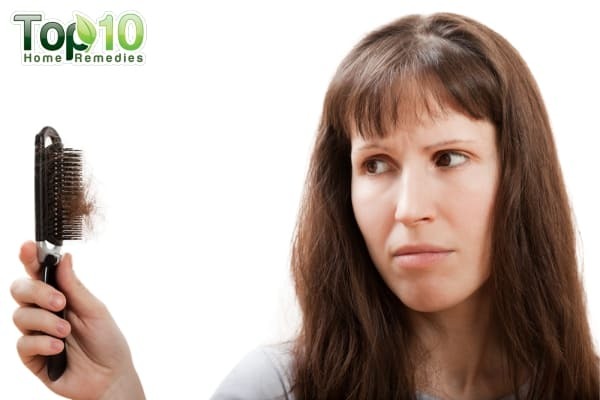 The catechins present in this ingredient have 5 alpha-reductase-inhibiting properties that help block DHT (dihydrotestosterone), one of the key causes of hair loss. It can even help in promoting the growth of new hair. Green tea is also useful in keeping away common hair-and scalp-related problems, such as dry scalp and dandruff. Use cool, freshly brewed green tea to rinse your hair after you have washed it. Leave it on for 10 minutes and then rinse it off with cool water. Do this 2 or 3 times a week for a couple of months. Also, drink 2 to 3 cups of green tea daily to achieve strong and beautiful hair. Green tea can help protect the skin from harmful ultraviolet (UV) rays of the sun. The theobromine, polyphenols, and tannic acid found in this ingredient are effective in soothing and healing sunburned skin by neutralizing the damage caused by UV ray exposure. Brew 2 to 3 cups of green tea and put it in the refrigerator for some time. Soak a soft cloth in the tea and gently apply it to the sunburned areas. Repeat 2 or 3 times a day to relieve pain and redness. Other than making your hair strong and healthy, green tea can also help you get rid of scalp greasiness,(10) thus giving you shiny and beautiful locks. Plus, it protects your hair from damage due to pollution and harsh chemical-based hair products. 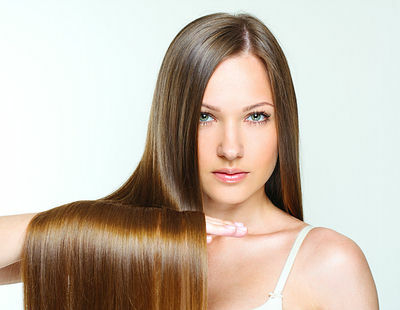 The high levels of panthenol and vitamin E and C present in green tea condition your hair. Steep 2 or 3 green tea bags in 4 cups of hot water for an hour. Remove the tea bags and let the solution cool down. Dampen your hair and then rinse it with this solution. Wait for 10 minutes and then wash your hair with a shampoo. Rinse your hair with cool water to seal in the shine. Steep a cup of strong green tea and allow it to cool. Add a few tablespoons of this tea in about 2 tablespoons of bentonite clay (or any other cosmetic clay) to form a paste. Spread this pore-tightening mask on your face and allow it to dry completely. Gently scrub it off and rinse your face with warm water. Also, drink a few cups of green tea daily to flush toxins out of your body. The somewhat rough texture of dry leaves of green tea helps exfoliate the skin in order to get rid of dirt, dead skin cells, and other impurities. Mix together 1 tablespoon of dried green tea, 1 cup of sugar, ½ cup of extra-virgin olive oil, and 2 tablespoons of raw honey. Apply it on your face and/or body and gently rub it in circular motions. Finally, rinse it off with warm water. Use this scrub once or twice a week. Another option is to brew 1 green tea bag in 1/3 cup of water. Allow it to cool. Put 1 tablespoon of this green tea into a bowl and add 2 tablespoons of sugar to it. If the mixture seems runny, add more sugar. Use this mixture as an exfoliating skin scrub once or twice a week. SUZUKI Y, MIYOSHI N, ISEMURA M. Health-promoting effects of green tea – PubMed Central (PMC). Proceedings of the Japan Academy. 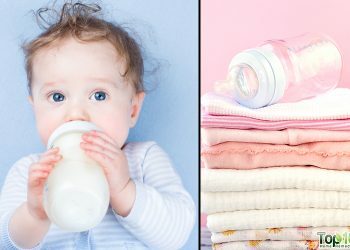 https://www.ncbi.nlm.nih.gov/pmc/articles/PMC3365247/. Published March 9, 2012. OyetakinWhite P, Tribout H, Baron E. Protective Mechanisms of Green Tea Polyphenols in Skin. Oxidative Medicine and Cellular Longevity. https://www.ncbi.nlm.nih.gov/pmc/articles/PMC3390139/. Published 2012. Green Tea Linked To Skin Cell Rejuvenation. Medical College Of Georgia. https://www.sciencedaily.com/releases/2003/04/030425071800.htm. Published April 25, 2003. Ahmadraji F, Shatalebi MA. Evaluation of the clinical efficacy and safety of an eye counter pad containing caffeine and vitamin K in emulsified Emu oil base. Advanced Biomedical Research. https://www.ncbi.nlm.nih.gov/pmc/articles/PMC4300604/. Published 2015. Sommer AP, Zhu D. Green tea and red light–a powerful duo in skin rejuvenation. Photomedicine and Laser Surgery. https://www.ncbi.nlm.nih.gov/pubmed/19817517. Published December 2009. Mahmood T, Akhtar N, Khan BA, Khan HMS, Saeed T. Outcomes of 3% Green Tea Emulsion on Skin Sebum Production in Male Volunteers. Bosnian Journal of Basic Medical Sciences. http://bjbms.org/ojs/index.php/bjbms/article/view/2697. Published August 2010. Esfandiari A, Kelley P. The effects of tea polyphenolic compounds on hair loss among rodents. Journal of the National Medical Association. https://www.ncbi.nlm.nih.gov/pmc/articles/PMC2569505/. Published June 2005. Ellis LZ, Liu W, Luo Y, et al. Green tea polyphenol epigallocatechin-3-gallate suppresses melanoma growth by inhibiting inflammasome and IL-1β secretion. Biochemical and Biophysical Research Communications. https://www.ncbi.nlm.nih.gov/pubmed/21982776. Published October 28, 2011. Nualsri C, Lourith N, Kanlayavattanakul M. Development and clinical evaluation of green tea hair tonic for greasy scalp treatment. Journal of Cosmetic Science. https://www.ncbi.nlm.nih.gov/pubmed/29394016. Published 2016. Thank yo for the time you put in to make this simple to follow list and how to. I will certainly add these tips to my daily regimen! Time to stock up on green tea. Thank you for all the helpful tips, can’t wait to try them all. Green tea is best for pimples n acne. 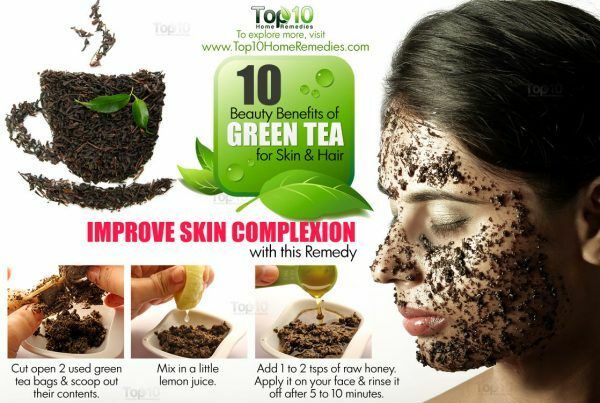 Applying paste of boiled green tea overnight can reduce pimple n acne 50% in 1 use. Its d best solution to get rid of pimples n acne quickly? I’ve started drinking green tea for about a month now, and I’ve seen a big improvement in my skin. Acne has reduced alot, along with watching what I put in my body, drinking plenty of water and working out, getting plenty of exercise. Green tea is good for your skin. I try to drink at least 2 hot cups a day along with a little lemon juice and some honey to give it a little sweetness. Thanks for the tip. On my green tea trial moment now I start to use it as it says remove the acne scars I never had it before lately it’s suddenly came out all over my face if I just know about this green tea I should have done the natural remedies everyday I’m drinking 4 cups of green tea and 1 fresh squire lemon juice and start to use green tea as a toner and rub the leaves over my face I could feel that my skin is getti ng smooth and I’m having one pimples now but the scars that make it more horrible that is why I’m dying to get back my face before. I’ll update you the come out. really works better than acv.. Thanks, I’m surely going to try it.